That is the question on our minds after a record low voter turnout in 2014 and recent polls predicting that the country’s largest voting blocs will stay home on Election Day. California Calls’ answer to the question is a resounding “yes” – and we have a plan to make it happen in 2016 and beyond. 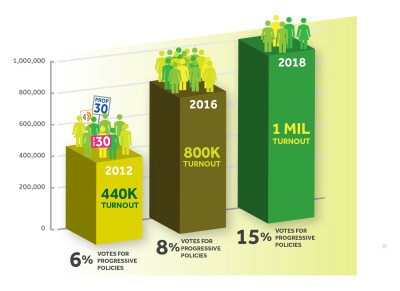 We are leading an effort to engage and turnout 1 million voters by 2018. At the end of last year, California Calls, Alliance of Californians for Community Empowerment (ACCE), Asian Pacific Environment Network (APEN), Mobilize the Immigrant Vote (MIV), and PICO California launched the Million Voters Project. Joining forces with 40 local affiliates and labor allies, the Million Voters Project will advance the transformation of the California electorate so that it reflects the population of the state. Together, participants will launch a series of voter engagement programs to engage, build a relationship with, and turn out 1 million new and infrequent voters in November 2018. The first step will be to mobilize over 700,000 voters in 2016. This first turnout goal will provide over 10% of the votes which could be a decisive margin in many ballot measures that will provide stepping stones to bigger reforms in 2018. Communities represented by the new California Majority face similar struggles, but are often pitted against each other for a shrinking cut of the pie. But when they vote together, these communities can win the types of policies that prioritize their mutual needs –like a higher minimum wage, investment in schools that need funding most, and passing reforms to Prop 13 that secure billions of dollars for their neighborhoods. California Calls has worked year round since 2009 to build trusted relationships with voters across the state. By connecting voters to the issues that they care about, California Calls has been able to increase voter turnout in these communities by 8-15%. 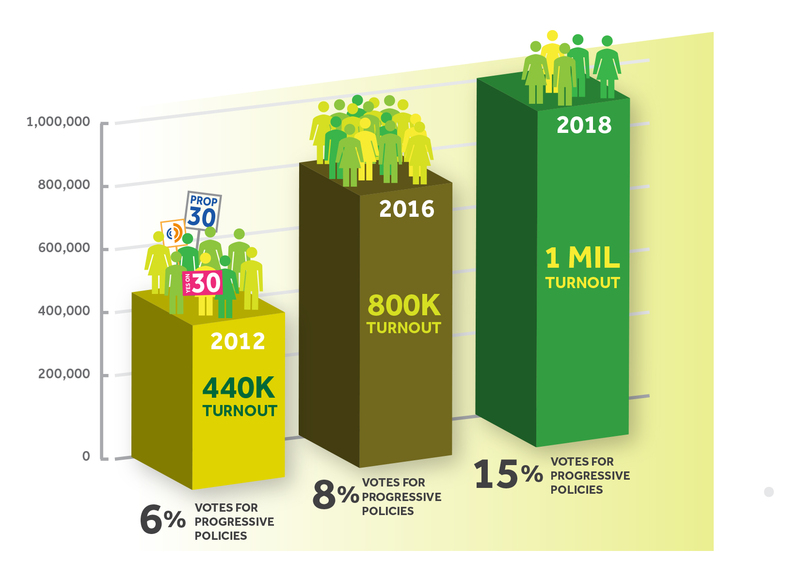 Mobilizing 1 million new and occasional voters to the polls in 2018 is a major step toward a California electorate that has the ability to take bold policy moves. 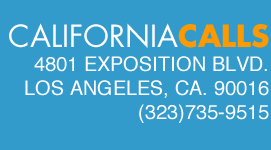 Click here to find out more about the path for California in 2016 and beyond.